Virgin Media has announced an innovative broadband trial taking place in Papworth, Cambridgeshire, which is offering the UK’s fastest home broadband connection. 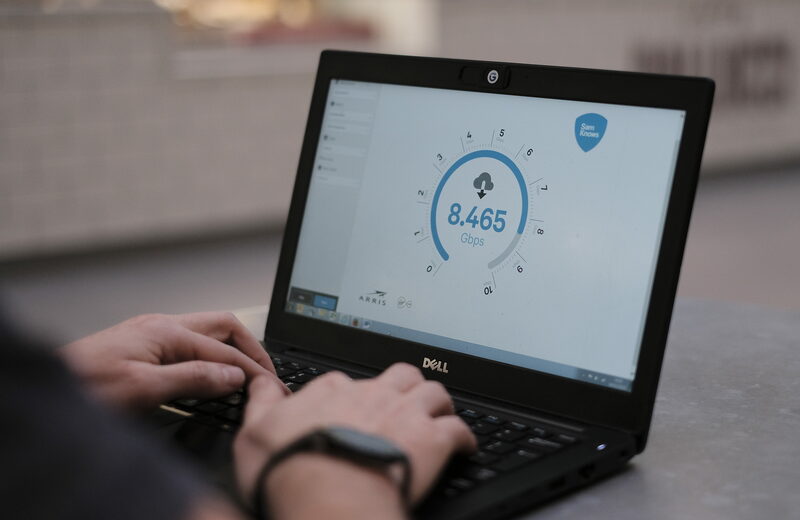 The trial is delivering hyperfast broadband speeds of more than 8Gbps to customers over the existing network in the village – more than 200 times faster than the UK average home broadband connection – prompting Ofcom’s official speed testing partner to fast-track the development of a new test to validate the speeds. Papworth has long been a testbed of innovation for Virgin Media. The Cambridgeshire village is where Virgin Media first tested 1Gbps full fibre to the premises connectivity in 2014, and was also the original test site for the narrow trenching technique which Virgin Media has used to minimise disruption and speed up deployment when laying new network cables. Virgin Media, through backing from its parent company Liberty Global, is currently investing billions of pounds to expand its network to millions more homes and businesses as part of its Project Lightning expansion programme, including thousands of premises in March and surrounding areas of Fenland. “We’re delighted that Virgin Media has chosen to trial 8Gbps fibre services with residents in Papworth. Cambridgeshire and Peterborough is a leading digital county and it is vital that our businesses and communities have the high speed connectivity they need to take us into the future.